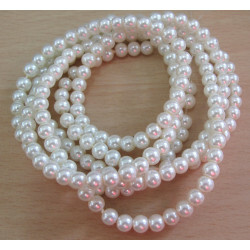 4mm Glass Pearls There are 7 products. 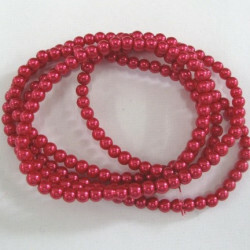 PL0452 - 4mm red glass pearls. Long strand. These are a pink red. A bold intense colour. 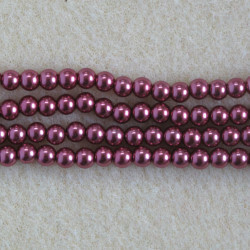 4mm raspberry coloured glass pearls. 4mm Raspberry Coloured Glass Pearls. Approx. 110 Beads per String. Long strand turquoise blue. 4mm pearls. Long Strand Turquoise Blue. 4mm Pearls. Approx. 220 Beads per Strand. Long strand of 4mm ivory white glass pearls. 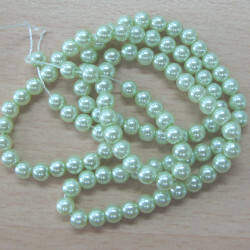 Long Strand of 4mm Ivory White Glass pearls. 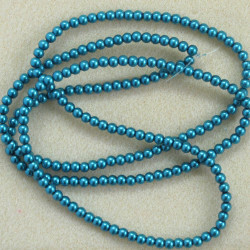 There are at least 200 beads per strand. Great Value! 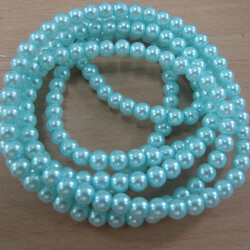 Long string of 4mm white glass pearls. 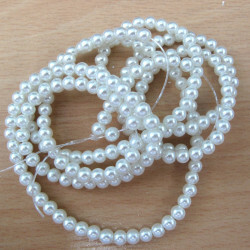 Long String of 4mm White Glass Pearls. Over 220 per String.